Minister of Industry, Commerce, Agriculture and Fisheries, Hon. 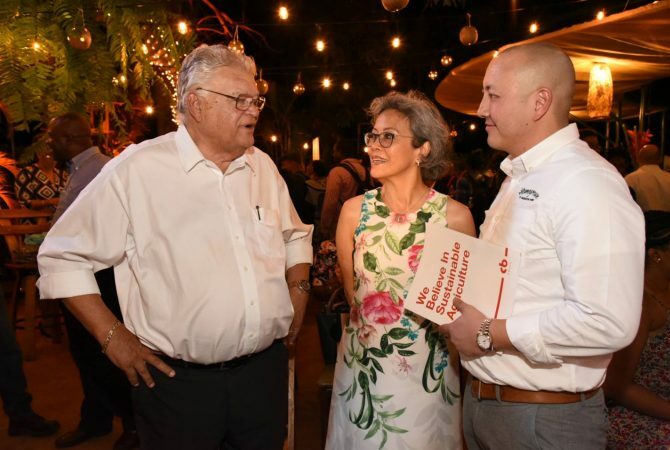 Karl Samuda, has welcomed the emergence of ‘Imagination Farms’, a new division under the CB Group that will cultivate fresh produce for the local market. Mr. Samuda said he is particularly pleased that the new company plans to eventually involve small farmers in its venture. “It is through those relationships that we are going to be able to assist small farmers to grow and develop, and it is because of that support mechanism that we are going to encourage small farmers to get involved (when the opportunity arises),” Mr. Samuda said. In total, the entity has access to over 1,000 acres of land across different parts of the island which it plans to cultivate over the next five years, based on market demand for its produce. He was speaking at the official launch of ‘Imagination Farms’ on July 18 at the Hope Zoo in Kingston. Mr. Samuda congratulated the conglomerate on the materialisation of its vision which has been “planned carefully” over the years. In the meantime, Chief Operating Officer, CB Group, Matthew Lyn, said the creation of Imagination Farms was born out of extensive research which started in 2012 in a bid to substitute imported crops with locally grown produce. “We started researching crops that we were able to grow in our climate, that had a ready market (and) that we were already importing in large quantities,” he explained. Under its “Homegrown” brand, Imagination Farms will initially grow onions, sweet corns and Scotch bonnet peppers for local consumption. 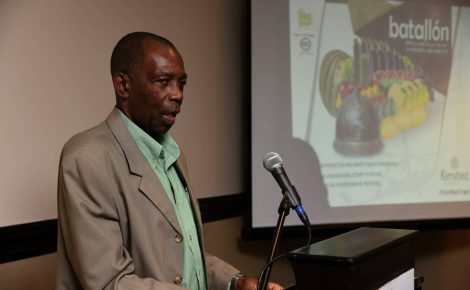 “We want to allow Jamaican people to eat locally grown produce that are healthy and good for (them) at a much more affordable price,” he said. Mr. Lyn said it is hoped that through this venture, the two million kilograms of peppers imported annually will be eliminated; the country will become more self-sufficient in local onion production; and importation of sweet corn will be reduced and its local consumption doubled or tripled. The company intends to achieve these goals by working with new and existing farmers of these crops. “We want to use the experience that we have in livestock, what we have been doing for 30-odd years and use some of the same techniques, the same structures and strategies to (develop the local) market. We want to work with farmers, not against (them),” he assured. He added that ‘Imagination Farms’ is also seeking to promote entrepreneurship, create jobs and develop sustainable industries through this venture. Imagination Farms spans over 400 acres in Fellowship Hall, St. Catherine.